The healthcare industry is on the brink of a massive transformation, with the introduction of MACRA and accompanying reforms like MIPS and APM. The underlying function of these amendments is to maximize the value of patient care, which means achieving best outcomes with available resources and at the lowest possible cost. EHR is one such crucial resource that has come a long way from merely eliminating paper-based health records to leveraging machine learning and predictive analytics to detect disease recurrence after remission. However, one of the biggest challenges has been bringing about the “meaningful use of EHR data” to enhance patient care, improve productivity, and reduce administrative costs. 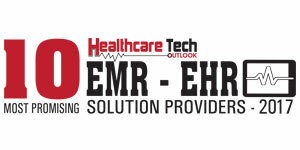 As a pioneer in healthcare information technology, MedInformatix has been instrumental in developing EHR solutions that respond to this particular need: “meaningful use of EHR data.” For over three decades, the company’s EHR solution has been strengthening the interaction between physicians and patients with special attention directed toward revenue cycle management. Pat McGonigle, CEO of MedInformatix explains that today’s EHR systems are equipped to handle interoperability and data exchange issues, elevating the overall experience for the provider as well as the patient. Simply put, EHRs have evolved from self-contained applications to broader systems for helping clinicians work in interdependent departments, coordinate care, and utilize evidence-based practices to improve patient safety and promote greater efficiency in care delivery. To that end, “MedInformatix has always been a proponent of interoperability, connectivity, and communication between practices, physicians and patients and our goal is to make data readily accessible to our clients,” states McGonigle. One of a select number of industry leaders to be certified by the Drummond Group as a “Complete Solution,” the MedInformatix EHR application is a single source repository that allows information to flow seamlessly between administrative and clinical functions. Once a specific record or piece of information is entered, it is immediately available throughout the system to both the administrative and clinical staff involved in the case; at the same time, the system reduces redundancy through streamlined functions and modules. This method of streamlining the workflow is imperative for today’s medical practice, specifically in the area of revenue cycle management that looks after the business side of the practice as it allows access across multiple locations and staff functions and delivers increased practice profitability. Aside from its robust technology platform, MedInformatix has earned an industry reputation for the collaborative relationship it forms with each customer. In fact, they were one of the first in the industry to launch a client advisory board to help drive the company’s customer service and product development agenda. “Ours has never been a one-size-fits-all solution,” says McGonigle. “From the beginning, we develop a two-way partnership to really get to know our clients and what their unique needs are.” So, when one of the largest providers of radiologic services in the nation needed to upgrade their EHR to keep up with their explosive growth, they enlisted MedInformatix. McGonigle’s team leveraged its Complete Solution and developed a customized ‘scheduling wizard’ from scratch to help the provider more fully optimize its scheduling process. Time spent on patient scheduling was cut in half, allowing them to diagnose more patients and grow their business with the same workforce.